Clap those hands and stomp those feet! Reading doesn't need to be a sedentary activity and interactive books are a great way to get your child fully engaged with reading, body and mind—plus you might just be able to work some of those wiggles out. 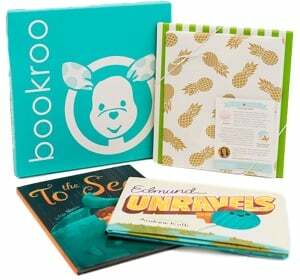 #winwin There are lots of different ways for a book to be interactive—lift-the-flap, touch-and-feel, push-and-pull tabs, wheels that spin, instructions for activities to do while you read, illustrated buttons that seem to magically do something when you turn the page... the list goes on. We've got all different types of interactive books represented in this "best of" list—if you'd like to see even more of our favorite lift-the-flap and touch-and-feel books, check out the expanded lists we have for each of those categories—there are even more winners there! Without further ado, here are some of the best interactive books we ever did see. If books had families, this one would be a cousin to Hervé Tullet's "Press Here"—as you're instructed to shake, spin, etc. the book and then turn the page, the situation has evolved. It's a cute concept and has been applied to this new situation in a way that's clever and well-executed. It took my toddler a little bit to catch on to the full color-mixing concept, but not he's all over it and can't wait to mix, push the buttons and tilt the book to create all new colors! What kind of a face would you make if a tickly green bug were sitting on your nose? Or if it were—eek!—inside your shirt? Could you make a scary face to frighten it away? Or, even better, stand up and do the chicken dance? Yes? Then better get to it! This exuberant, interactive picture book starring a bossy little ladybug and a GIANT hungry frog will have kids leaping up and down and out of their seats to dance and make silly scary faces of their own. In this big, beautiful, astonishing book, more than 50 animals are hiding. In elegant drawings and graphic, eye-catching layouts, Out of Sight will enthrall children with the amazing variety of the animal kingdom. PRESS HERE, MIX IT UP!, LET'S PLAY! and now SAY ZOOP! Collect all four interactive books from Hervé Tullet! Press the yellow dot on the cover of this book, follow the instructions within, and embark upon a magical journey! Each page of this surprising book instructs the reader to press the dots, shake the pages, tilt the book, and who knows what will happen next! Children and adults alike will giggle with delight as the dots multiply, change direction, and grow in size! Especially remarkable because the adventure occurs on the flat surface of the simple, printed page, this unique picture book about the power of imagination and interactivity will provide read-aloud fun for all ages!